In the late 1970s, China’s reform and opening up first started in Shekou, Shenzhen, in the southern province of Guangdong. During his inspection tour of Shenzhen in December 2012, Xi Jinping, general secretary of the Communist Party of China (CPC) Central Committee, pointed out that Shenzhen was the first Chinese city to launch the reform and opening up and remains the most influential and best-developed Special Economic Zone (SEZ). Deng Xiaoping, the chief architect of China’s reform and opening up, designated Shekou as the pace car of economic reform and opening up. Xi Zhongxun, then first secretary of the CPC Guangdong Provincial Committee, called on the province to become the “first to eat the crab.” Yuan Geng, founder of the Shekou Industrial Zone, felt like he was risking his life while pressing ahead with the reform process. The great courage, wisdom, vision and sense of responsibility of those pioneers inspired the passion of later generations of reformers. 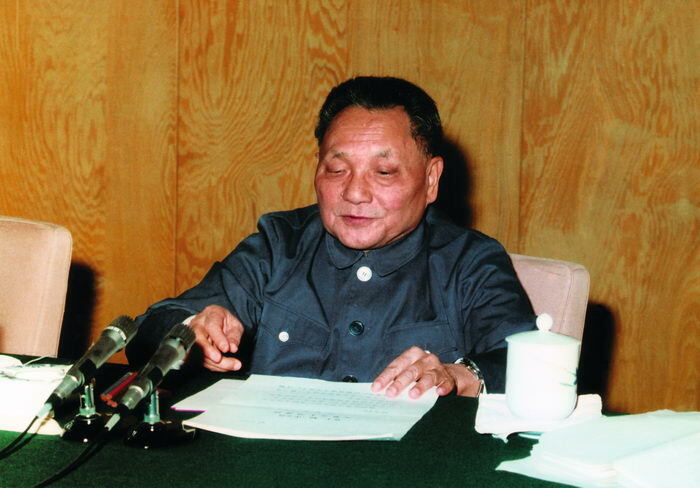 Deng Xiaoping at the third plenary session of the 11th Central Committee of the Communist Party of China in December 1978. In 1978, after the conclusion of the third plenary session of the 11th CPC Central Committee, Xi Zhongxun, then first secretary of the CPC Guangdong Provincial Committee, and several other reform pioneers submitted a report to the CPC Central Committee proposing construction of an export-oriented industrial and trading zone, hoping to become the “first to eat the crab” in economic reform. Upon deliberating the situation, Deng Xiaoping creatively presented the idea of building SEZs and encouraged reformers to act boldly. As head of the Shekou Industrial Zone, Yuan Geng felt like he was risking his life to continue the reform and opening up. Such determination and courage reflected the difficulties and obstacles that reformers faced at the time. Many reform policies concerning new distribution systems, management systems, personnel systems, employment systems, payment systems and housing systems were incubated in Shekou. In the process, new concepts related to competition, the market, contracts, information, operational performance and vocational ethics gradually took shape, fostering the most innovative cultural and ideological developments in the modern era. At a crucial time when doubts about reform began to mount, Deng Xiaoping urged officials to be bolder in reform and have the courage to experiment. “We must not act like women with bound feet, but take bold action to blaze a new trail after determining the right direction,” he declared. 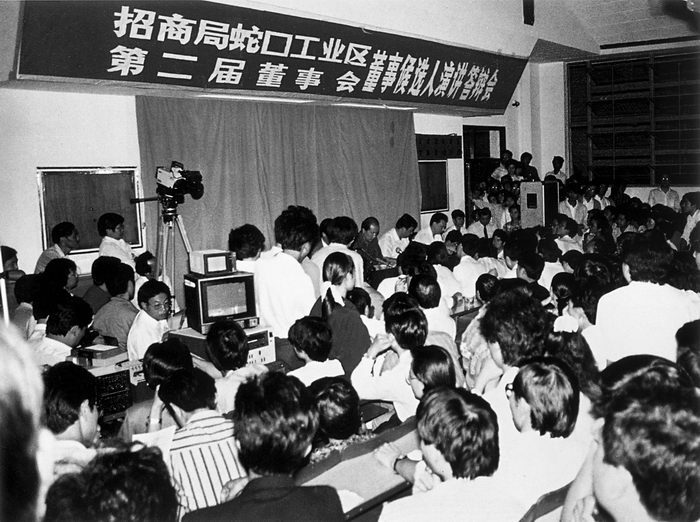 On the afternoon of December 1, 1987, the municipal government of Shenzhen held a land usage rights auction, at which Luo Jinxing (who held the No.11 auction paddle), manager of Shenzhen Real Estate Company, successfully bid for a 8,588-square-meter land plot for residential use, with a term of 50 years. The development of Nanling, a village comprised of some 100 households in Shenzhen, evidenced that a leader’s courage and determination are vital to eliminating poverty. 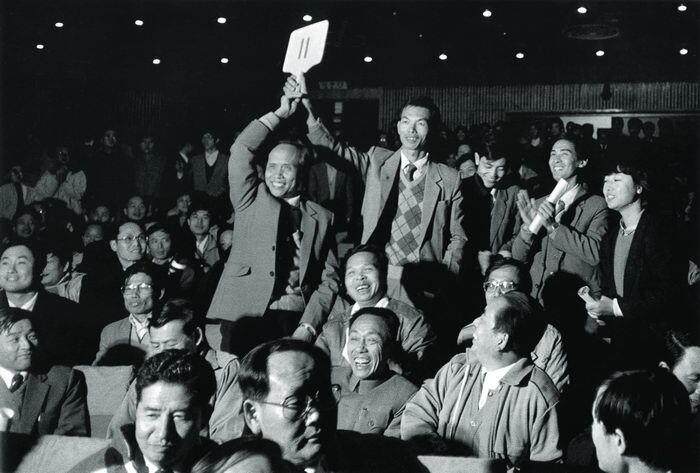 In 1974, Zhang Weiji, head of the village’s First Production Unit, was doomed to one-year public criticism for leading villagers in developing side businesses. In 1979, the persimmons that the villagers were growing got sold to state-owned purchasers for only 0.18 yuan per kilogram, but their income could increase tenfold if they processed those persimmons and sold them directly. However, operation of such a business back then risked criticism as “walking a capitalist road.” “How could socialism be superior if everyone lived in poverty?” Zhang Weiji argued. Soon after China implemented the reform and opening-up policy, Nanling Village applied for a loan of 1.7 million yuan to improve the business environment of the locality with hopes of attracting foreign investment. Facing pushback from villagers, Zhang promised that he alone would take responsibility for the debt if the village defaulted on the loan. Zhuyuan Hotel, the first company to carry out employment reform in Shenzhen. In 1983, four production units in Nanling Village merged and a new village committee was established. Zhang introduced the practice of anonymous ballots to elect village leaders, the earliest known attempt for grassroots democratic autonomy in China. In 1984, Nanling Village became the first to introduce the rural shareholding system, and villagers were rewarded dividends the same year. By then, the majority of China’s rural areas had just begun to implement the household contract responsibility system. The courage and determination of grassroots reformers like Zhang Weiji were driven by their personal suffering from poverty and their aspirations to bring better living standards to their fellow villagers. 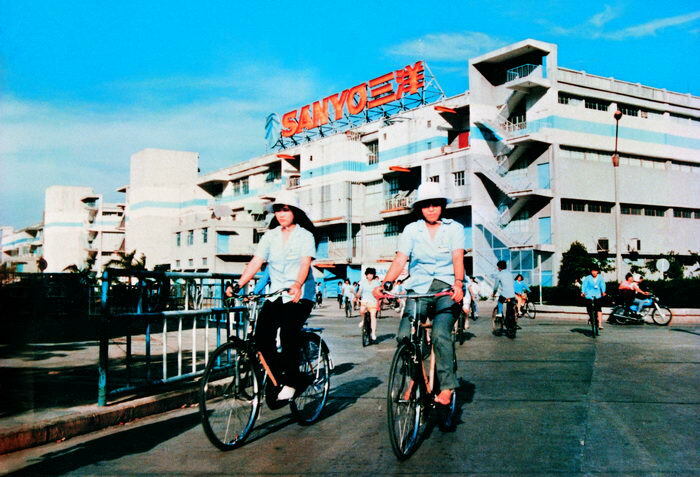 SANYO Electric (Shekou) Limited, the first Japanese wholly funded enterprise in China. Migrant workers became an iconic group in Shekou, Shenzhen at that time. Before China’s reform and opening up, Shenzhen was a nondescript, secluded town, sharply contrasting Hong Kong, a bustling international financial center just across a river. As the country opened its doors, the people living in the region adjacent to Hong Kong developed wide vision and freer minds. Many went abroad to experience the outside world and learn advanced science and technology and different cultures. The reform and opening up of Shenzhen proved that openness promotes progress and seclusion leads to stagnation. Back then, conducting field surveys, compiling useful lessons and introducing investment from developed countries were key measures taken by China to promote the reform and opening up. In January 1980, Shekou officially began soliciting investment from around the world. Like a siren signaling China’s reform and opening up, this move caused global attention. On September 25, 1983, Shekou Harbor was approved by the State Council to become an open national port. Zhang Weiji, a farmer in Nanling Village, realized that cooperation with foreign investors would bring vitality to his village. In 1979, Shenzhen began to develop processing and compensation trades (processing materials or assembling supplied components). Zhang and several villagers waited outside luxury hotels in hopes of meeting businesspeople from Hong Kong. Eventually, they found several Hong Kong investors who would go on to build factories in their village. After Zhang Weiji retired, his son Zhang Yubiao was elected secretary of the Party branch of Nanling Village. As the village was built into a community, he became its Party chief. Born in 1974, Zhang Yubiao witnessed the dedication of his forefathers in pushing the reform and opening up as well as Shenzhen’s transition from a small fishing village into a modern metropolis. He hatched a plan to develop Nanling as more than just a village or community, but from a global perspective. Four decades ago, Deng Xiaoping declared that “poverty is not socialism.” In 2012, Xi Jinping stressed that “our mission is to meet the aspirations of the people for a better life.” In the 1980s, the CPC Central Committee decided to establish the Shenzhen SEZ with hopes that Shenzhen would lead the country’s reform and opening up and socialist modernization and blaze a new trail for achieving prosperity for the country, fostering the rejuvenation of the nation and improving the well-being of the people. On May 6, 1979, more than 100 Nanling villagers including Zhang Weiji’s wife, tried to sneak into Hong Kong. Then, their son Zhang Yubiao was just five years old. About 100 households in the village in Bao’an County relied on bank loans to carry out agricultural production and lived on “resold grain” (state-purchased grain sold back to a grain-producing area in case of disaster) and government relief. In 1980, the Regulations on Special Economic Zones in Guangdong Province, proposed by the State Council, was approved at the 15th meeting of the Standing Committee of the 5th National People’s Congress, heralding the beginning of the construction of Shenzhen SEZ. Taking advantage of this opportunity, Nanling Village also merged into a fast lane of development. 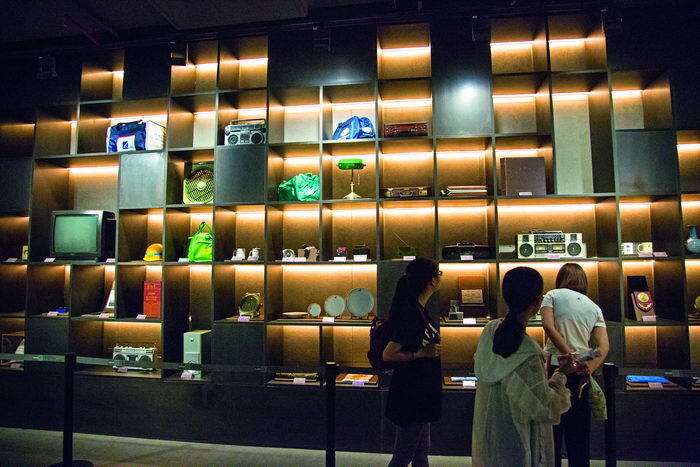 Under the leadership of Zhang Weiji, local villagers cooperated with investors from Hong Kong and tapped into the potential of their collective strength to develop manufacturing, tourism and trade. As a result, the collective economy of the village gradually boomed. 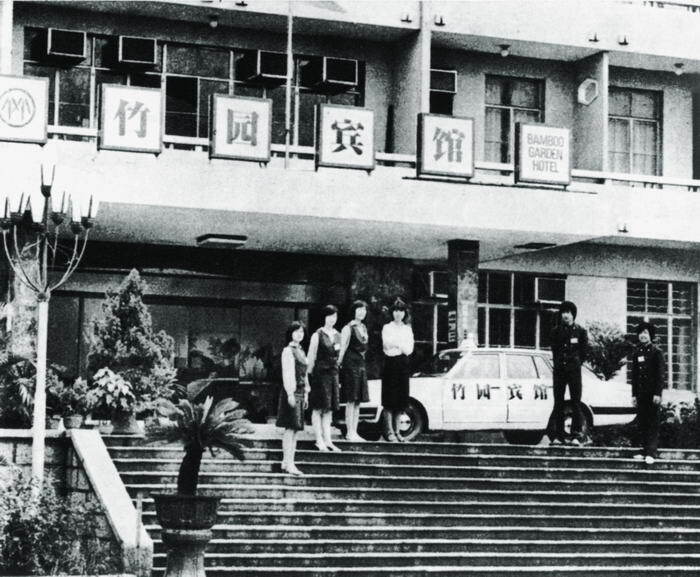 In 1984, Nanling became the first to open a village hospital adopting a cooperative medical-care system. Even migrant workers could enjoy free medical care in the hospital if they paid a medical insurance fee of two yuan per month. In 1986, the first industrial zone was founded in Nanling, enabling the village to transform from an agricultural economy into an industrial economy. By the end of 1991, per capita annual dividends exceeded 10,000 yuan in the village. Deng Xiaoping’s speeches during his inspection tour of southern China in 1992 turned the page on a new chapter of the country’s reform and opening up. During this time, Zhang Weiji led Nanling villagers to build four industrial zones and introduce a dozen hi-tech companies from both home and overseas, substantially accelerating the development of local tertiary industry. In 1994, the Regulations on Joint-stock Companies in Shenzhen Special Economic Zone was enacted, and Nanling Village established a joint-stock company. Some formerly collectively-owned assets of the village were transformed into privately-owned shares. All villagers could earn dividends annually according to the shares they owned. Since 2015, Nanling has considered equity investment substantially important. The village joined hands with Tus-Holdings Co., Ltd. under Tsinghua University to establish a hi-tech industrial park and an investment fund of which Nanling Village holds 50 percent stake. It also invested 120 million yuan to acquire an investment company and another 300 million yuan to establish Shenzhen’s first venture capital fund owned by a community-level joint-stock company. Zhang Yubiao has set goals of cultivating one or two excellent listed companies controlled by Nanling Village Community in three years and building its own financial platform. He hopes to ring the bell alongside villagers on the day their companies are listed on the stock market. How should people and society progress alongside rapid economic growth? In 2017, Shenzhen formulated “six measures” to enhance local citizens’ personal quality: Enlightening the mind, enhancing morality, observing the law, promoting intelligence, advocating culture and improving physical health. According to the municipal government of Shenzhen, the talent demanded by reform and development should not only be proficient in cutting-edge technologies, but also be of high cultural quality and socially civilized. The greatest wish of officials in Huaide Community is to provide local residents greater spiritual assets than material wealth and to make them richer in terms of the mind rather than just financially better off. Most Huaide residents are from the Pan clan. Their ancestors moved to the area from Xingyang, Henan Province in the late Northern Song Dynasty (960-1127). The village’s name “Huaide” literally means “cherish memories of the morality of ancestors.” In the 1990s, local residents raised funds to reconstruct their ancestral temple that was destroyed during the “cultural revolution” (1966-1976). Today, ancestral temple culture and the honor of ancestors play an important role in the administration of modern communities. 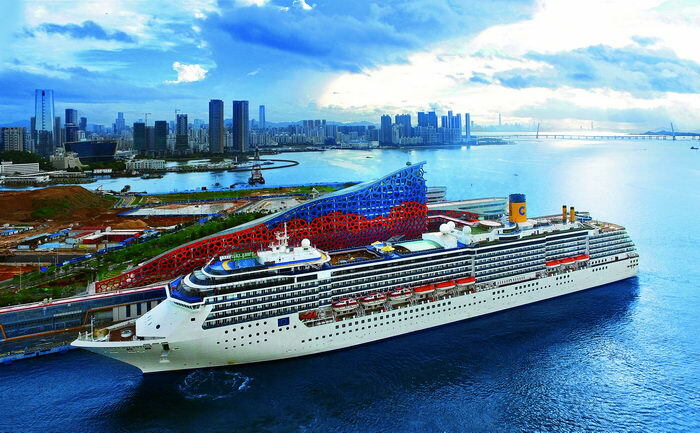 Shenzhen Cruise Center at Prince Bay in Shekou. Huaide Community is exploring a path to modern community governance which would likely help enhance both social self-management capacity and personal quality of residents. A social governance pattern featuring public participation, joint contribution and shared benefits has taken shape in the community. Based on an autonomous administrative structure covering multiple levels ranging from community officials and neighborhood chiefs to residential custodians, lawyers, psychologists, anti-drug volunteers, senior care centers and other social organizations, the community provides sports, cultural and entertainment facilities, organizes charity activities and provides public services. This development has facilitated remarkable progress in areas like public security, neighborhood care, environmental protection, sanitation, dispute mediation and community culture. In the process, not only has the personal quality of residents been improved, but also the community’s self-management ability has enhanced as well. On the day he was elected secretary of the Party branch of Nanling Village, Zhang Weiji promised that villagers would have enough to eat, new houses to live in and the ability to become rich and healthier. Decades later, all of his promises have come to pass. In 2015, per capita annual income surpassed 150,000 yuan and the village’s collectively-owned fixed assets reached three billion yuan. Now, under the leadership of current Party chief Zhang Yubiao, local residents want more than just material wealth, but human progress and development. 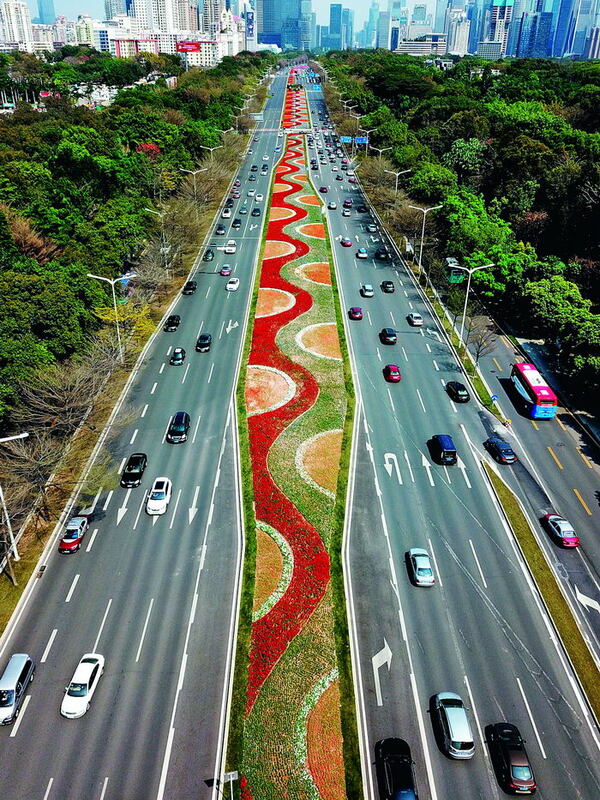 A bird’s-eye view of Shennan Road in Shenzhen. Over the past 40 years, Shennan Road has witnessed the tremendous changes taking place in the city. 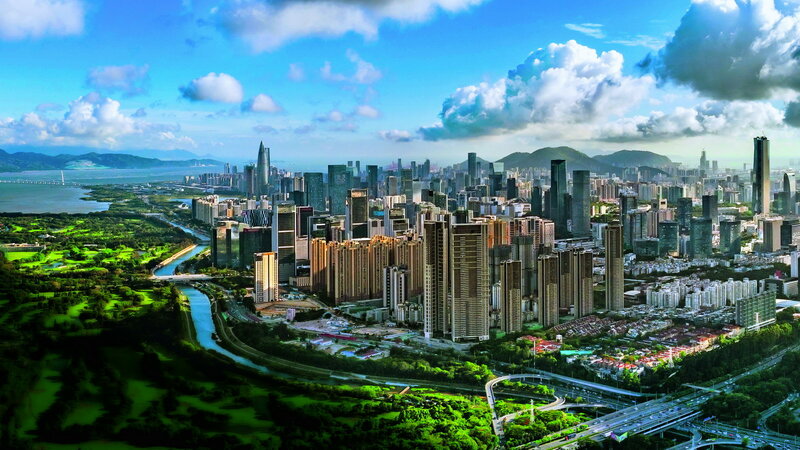 After four decades of development, Shenzhen has accumulated enormous material assets and fostered a healthy society. In the 1990s, many visitors left the city with an impression that it was dirty and messy with a high rate of theft. Today, Shenzhen is a highly orderly and hospitable metropolis. Drivers yield to pedestrians, and even a stranger will be warmed by the smiles on the streets. According to Wang Weizhong, secretary of the CPC Shenzhen Municipal Committee, Shenzhen is a city of good Samaritans since as much as 10 percent of its total population are regular volunteers. During his inspection tour of Guangdong Province, Xi Jinping asked Shenzhen to never cease its drive to reform and opening up. The achievements made by Shenzhen SEZ are representative of the tremendous changes and historic achievements realized by China since its reform and opening up. The 40 years of the city’s reform and opening up have proven that emancipation of the mind and opening are the best strategies for China to stand up, become wealthy and maintain strength.